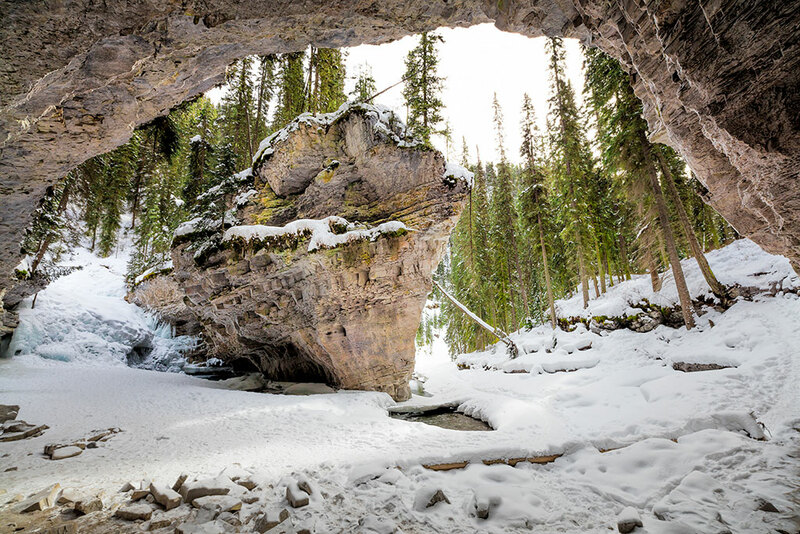 Weeks before traveling to Banff National Park I did some research online on how to find this hidden cave in the Johnston Canyon trail. I didn't have the exact GPS location of the cave but after seeing some videos of other people exploring the place I had a rough idea of where it was located. We chose a nice day to hike that trail, which is around 3 km's through the forest and along the canyon, there was some snow and ice in some parts of the trail, fortunately I had the ice cleats to wear in my shoes which made the hiking easier. After an hour or so, I noticed the huge boulder in the picture from the top of the trail and since everything was covered in snow I carefully went down to the base of the rock and then I saw the cave. Amazing indeed! I was the only down there so I took the time to enjoy the place and take several pictures. On our second day in the town of Banff, we decided to visit the Sulphur Mountain. It's a short drive from the Fairmont Banff Springs hotel to the base of the mountain where a gondola cable car takes you to the top of the mountain. The night before there was a big snowstorm but still the mountain was open to the public. 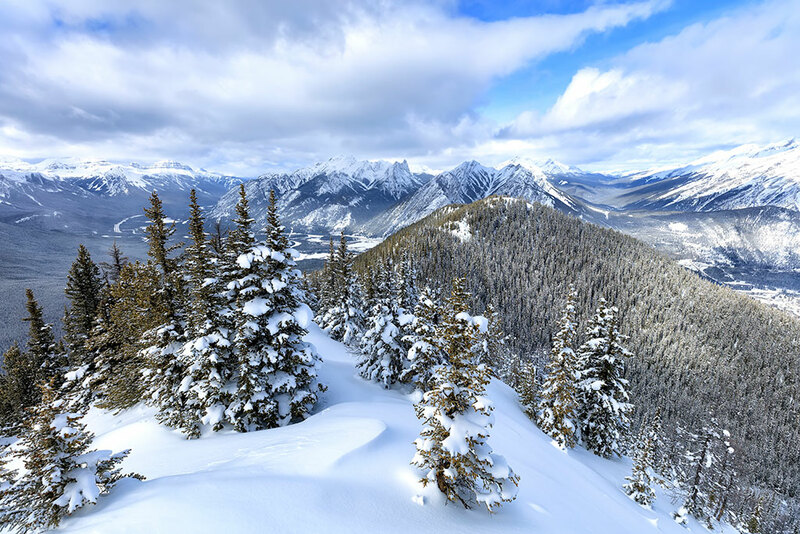 When we arrived to the top, the views of the Bow Valley and the town of Banff were jaw-dropping, one of the most beautiful winter landscapes I'd ever seen, with the recently storm the snow was pristine white and still softly falling. Like a winter fairy tale.